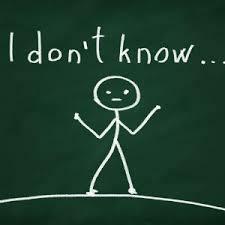 Over the past thirty years as an investment advisor, I’ve learned the three most important words in investing: I don’t know. Where will the S&P 500 end up at year end? I don’t know. What about the 10-year yield? I don’t know. Is now a good time to own gold? I don’t know. Where is crude oil headed? I don’t know. Will the recent pull back in stocks lead to a 10-20% correction? I don’t know. Will the U.S. enter a recession next year? I don’t know. What will be the best performing sectors and asset classes over the next year? I don’t know. Will the FED hike rates later this year? I don’t know. Will the stock market crash if we don't get tax reform? I don’t know. So the next time you turn on CNBC and happen to hear a few market prognostications, please tell yourself theses few words: They don't know.